The trip couldn't have been more perfect; well organised, informative and motivational hosts and an amazing group of people to have trekked with. This was a trip of a life time. I cannot explain in words just how beautiful the trek was. 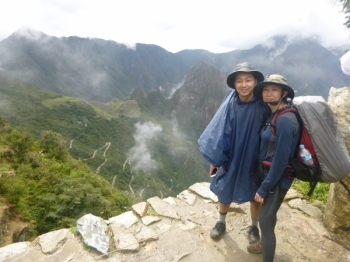 It made reaching Machu pichu that more memorable and fulfilling. Sin duda alguna uno de los mejores Guías que he tenido, Juan Carlos siempre atento, las explicaciones recibidas de los lugares han sido muy completas y satisfactorias . Los recomiendo al 100 % . The guide Juan Carlos was very personable know a great deal about the trail . Our guide Juan Carlos was amazing , he was very knowledgeable and able to explain everything well in english. The guide Raul was very friendly , knowledgable and helpful . We had good fun as a group. Thanks you for telling us to get trekking . The food was impressive and good variety of food considering the make shift kitchen !. We had a clear understanding of what was involved and what timings where required. The guide was amazing, knowledgable and made the trip truly enjoyable , It wouldn't have been the same without him . This trek was incredible. Of course, the brilliance of the Andes mountains is nothing to scoff at, but the folks of this company made it all the better. This company was great! 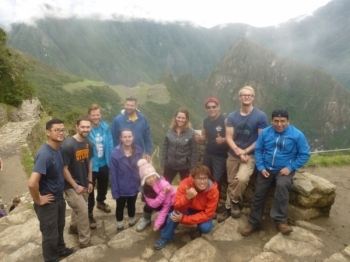 We booked an Inca Trail trek with a trip up Huayna Picchu, and decided to change our HP hike to the next day. When I say Machu Picchu you say? Myself and my friend Liam had a great time on the Inca Reservation tour of the Incan Trail. Our guide Ever really made our group of Gringos form a friendly/cohesive team, and we really felt at home with the team of Porters and the Chef (who was outstanding).